If you are having issues seeing any part of the newsletter, click HERE to see a version on our website. Masjid Al-Momineen is located in Clarkston, Georgia. Please click here for maps and full directions from the airport, major highways; by bus or MARTA. Click here to read articles published by community memebers, to publish your own articles, or to make comments. We hope and pray that this newsletter reaches you in good health. We have a number of announcements. This is from one of our own board members who has just returned from the area: "Please donate to the flood victims. I saw great suffering in Pakistan during my visit and we must do more to help." Please go to the Hidaya Foundation website to donate. We at Masjid Al-Momineen will tweet as often as necessary to keep our followers informed of important Masjid or community events and news. Join us in the heart of Clarkston at the downtown Clarkston Plaza - N. Indian Creek & Market Street (adjacent to the Masjid) - on October 23, 2010, at 10am to 6pm for Clarkston Day. The event will feature enthnic food, multi-cultural live entertainment, kids corner, fire truck tours, antique car & motorcycle show, barbershop corner, rummage sale, family fun, and much more. Look for a tweet from us pointing you to the city flyer about the event in the next few days. We are planning to hold a fundraiser event at a location outside of the Masjid on December 4, 2010, inSha'Allah. Please mark your calendars. More details to follow. If you ever happen to be at the Hartsfield Jackson Atlanta airport, work at the airport, know someone who works at the airport or know of someone who knows someone at the aiport, please let them know that there is a full fledged Juma'a every Friday @ 1:45 PM in the Interfaith Chapel. It purposely lasts until 2:15 to enable employees to return to their work expediently. Please spread the word in order to ensure that this important service is not suspended for lack of attendance. And, this from a Br. Ahmed Gulamali: "As most of you are aware, in this negative political climate, it has become very difficult for an established organization to support Muslim causes. So, when an organization does have courage to support and promote Muslim causes, it is important for us Muslims to encourage and support such acts. Recently, Carlos Museum of Emory University has made a substantial financial commitment and a significant allocation of its precious museum space in bringing a Quranic and calligraphy exhibit to Atlanta. The "Islamic Calligraphy and the Qur'an" exhibit is currently underway and will continue now through December 5. Please forward this email to others and encourage their friends and neighbors to attend. While the exhibition could be viewed any day of the week during museum operating hours, museum has designated October 3rd as the family day and special program is being planned from noon to 4pm. In addition to the above mentioned exhibition, other museum floors contain permanent Egyptian, Greek, and Roman collections that can also be viewed while visiting Carlos. Further information about Islamic exhibition, museum location, parking information, and other information could be obtained via the links below." Dubai International: global hub for aviation. The U.S. Brainpower Map . According to Fed Reserve Bank of Boston research, Credit cards transfer money from poor to rich families. 1.5 million tons of food dumped each year in CA. A special report on change in Egypt. Number of books in the world. Solving the Rubik's cube in 20 moves? 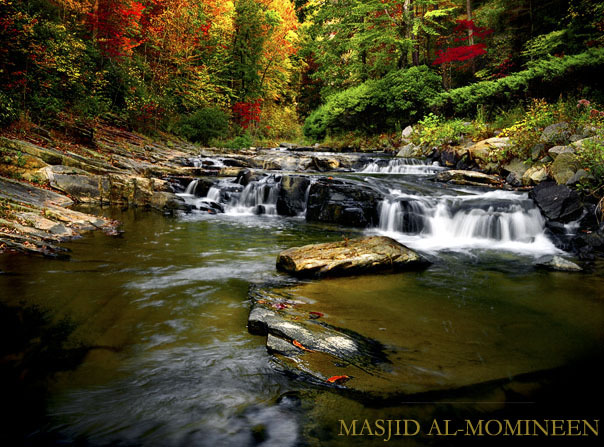 Copyright (C) 2010-11 Masjid Al-Momineen of Stone Mountain, Inc. All rights reserved.